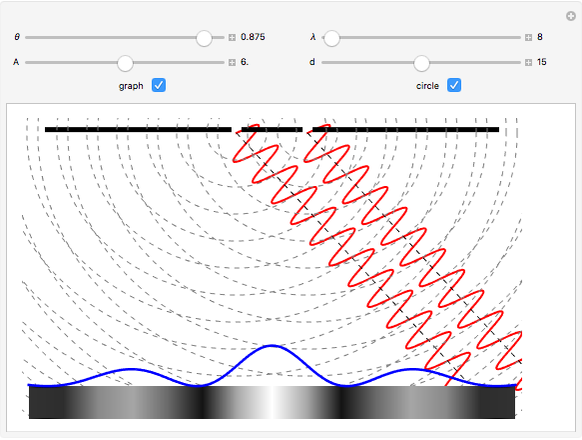 This Demonstration shows the interference pattern produced by two light waves of the same wavelength diffracted through two narrow slits. 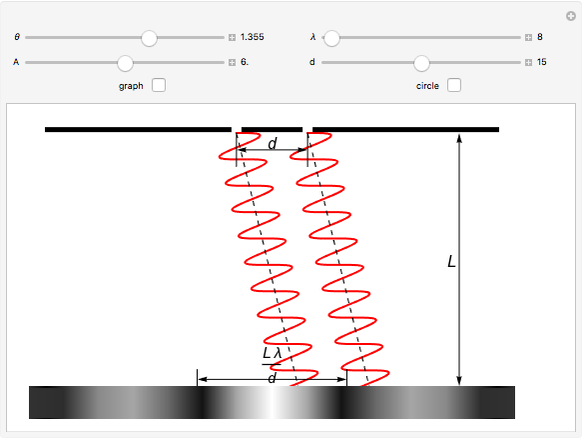 You can adjust the wavelength of the light, the amplitude, and the distance between the slits. 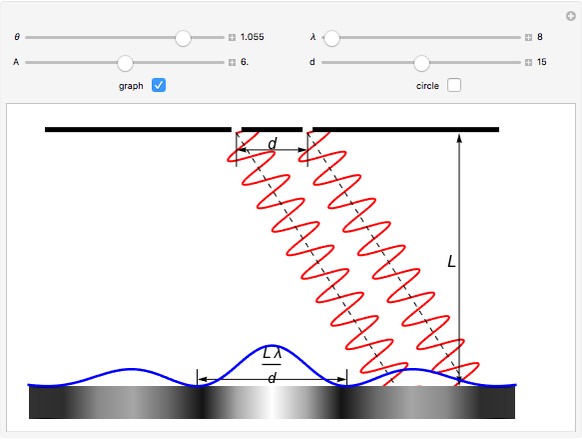 Changing the angle, you can see the phase displacement of the light waves and the formation of the maxima and minima of the light intensity. Volodymyr Holovatsky "Fraunhofer Diffraction (Double Slit)"